Tokamaks of the world, contribute! The annual end-of-year meeting of the International Tokamak Physics Activity (ITPA) was held at ITER Headquarters from 6 to 8 December. From left-to-right: Lars-Goran Eriksson (European Commission), Sergei Sharapov (Culham Centre for Fusion Energy, UK), Simon Pinches (ITER), Guido Huijsmans (CEA, France), Sergey Konovalov (Kurchatov Institute and new ITPA Chairman), Shunsuke Ide (QST Japan). There are dozens of tokamaks operating around the world and many regularly give direct support to ITER design activities and operational planning. The ITPA allows the global coordination of these research laboratories, helping with the exchange of people and ideas, including the clear communication of ITER priorities. 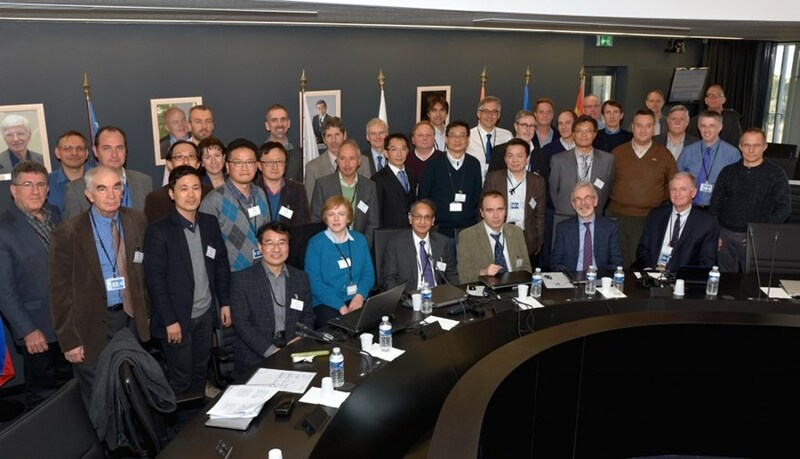 The meeting was attended by program directors, ITER staff, and the leaders of the seven ITPA "topical groups," each of which looks after a specific aspect of tokamak physics and operation. Director-General Bigot opened the meeting with a warm welcome that outlined the staged approach to assembling ITER, progress in construction, the successful completion of 2016 milestones, and general efforts to maximize the efficiency of the organization. The meeting was smooth and productive. Results from the past year were reviewed and the proposed activities for 2017 were discussed. A highlight from a presentation on the research program in Japan reported that the poloidal field coils for JT60-SA—a Broader Approach* machine under construction that is similar to ITER but about half the size—have been built to accuracies of less than 1 mm, much lower than their design specifications of 5-10 mm ... a clear demonstration that large components can be built to very high standards. The International Tokamak Physics Activity (ITPA) provides a framework for internationally coordinated fusion research activities. In December 2016, the group's annual end-of-year meeting was held at ITER Headquarters. There was a change of leadership at the end of the three-day session, with ITPA Chairman Abhijit Sen of the Institute for Plasma Research in India completing a successful three-year term. His responsibilities were passed to Sergey Konovalov of the Kurchatov Institute in Russia, who reaffirmed the contributions made by the ITPA and spoke positively about the high level of coordination with ITER. 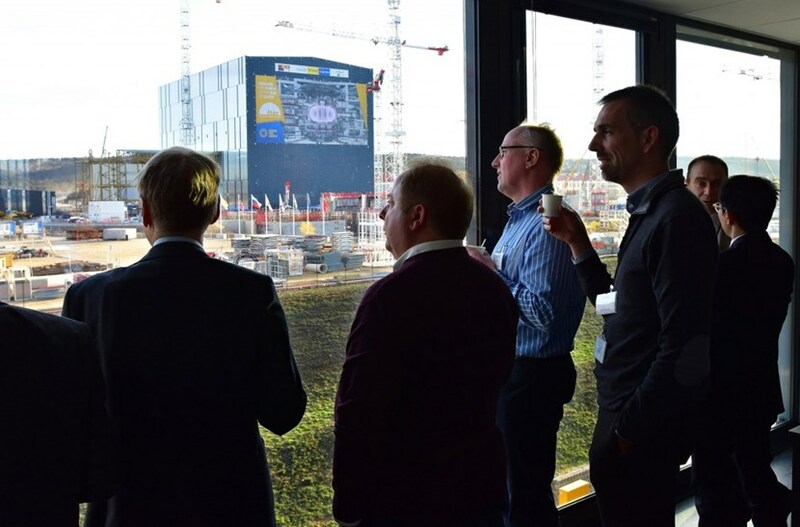 The last item on the agenda was a tour of the worksite. The participants commented on the dramatic progress achieved in 2016 and the atmosphere of activity generated by the 1,600 people who were working on the platform that morning. * In parallel to the ITER Agreement, which established the ITER Organization, an agreement for complementary research and development called the Broader Approach was reached between the European Atomic Energy Community (Euratom) and the Japanese government in 2007. More on the Broader Approach here.